Remedy is taking to the EGX Playstation this Friday at 4pm BST (GMT +1), to showcase new Control gameplay footage featuring one of upcoming title's boss battles. 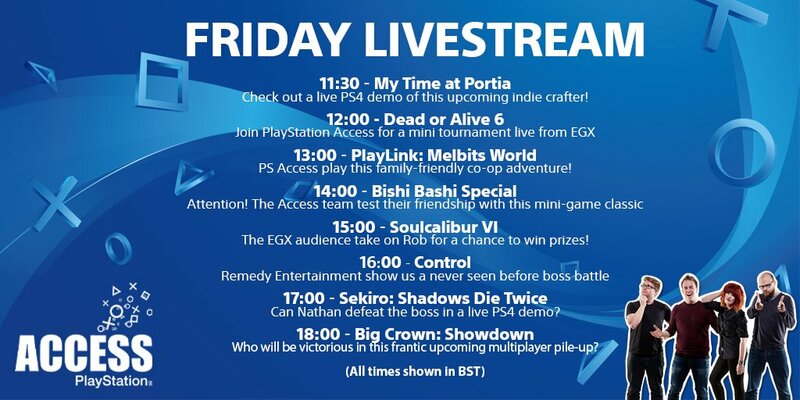 If you're not able to make it to the event, you can also catch the show on the Playstation UK Twitch and YouTube channels which will broadcast live. The full day's broadcast will be uploaded in full so if you're unable to watch it as it goes out, you will be able to watch it later on too. A little about the event: Created in 2008, EGX (previously Eurogamer Expo) is now the UK's biggest gaming convention. Previously stationed in Earl's Court, London, it has recently relocated to the National Exhibition Centre in NEC Birmingham. Every September/October it becomes a centralised hub of playable demos, community events, meets & greets, developer talks, competitions, and job advice through its trade fair.